I'm a true Californian and my favorite seasons are spring and summer. So, I plan to dress for spring until my hands turn purple. I always gravitate towards pretty and delicate pieces with a lot of details. 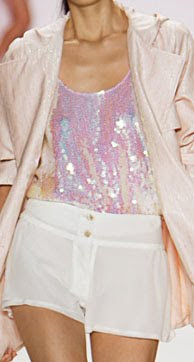 One of my favorite designers for this look is Erin Fetherston. Erin makes beautiful clothes for every season and right now she has an amazing fall line out (that I will feature another time), but her Spring 2009 line has been one of my favorites this year! One extra bonus about Erin is that she is from the Bay Area! How cool is that?! I love all of her collections!